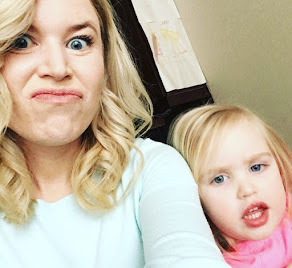 Today on Mombies Unite, Kelsey, one of the most positive, encouraging and organized moms I know, is going to be sharing a little bit of her wisdom with us. Having four girls in five years is an impressive background to be sharing about what kids need and I really enjoyed her perspective! Meet Kelsey. Kelsey Van Kirk is a Lifestyle & Clarity Coach for wives and moms and Founder of The Home Loving Wife community. She is a wife, mama to four lovely princesses and passionate about inspiring and equipping women just like YOU to create and live grace-filled lives full of balance, purpose, happiness and fulfillment! 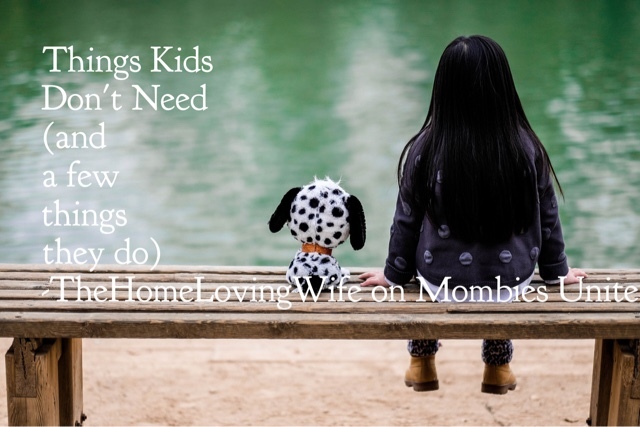 You can connect with her more on Facebook, Instagram, Twitter and Pinterest, or in her members-only Facebook community, The Home Loving Wife Sisterhood! Over the years I’ve often heard a repetitive comment made about how expensive kids are. 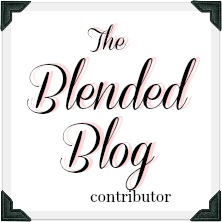 I’m sure you’ve probably heard (or said!) this once before. As a mom of four, I can totally attest to that being true….kind of. But when I was a younger mom (you know, since I’m really old now) I got downright annoyed when I heard people talk about how expensive kids were. Especially when they used it as a reason to not have any yet! What does that even mean?! I have a pretty vinyl sticker on my wall that says “Van Kirk Family Est. 2009” and I’m pretty sure that just means we got married in 2009…. The point is, I honestly couldn’t understand how in the world people were spending so much money on having kids!! It is no secret to those that know me well, that I am kind of a stubborn person. Like, not in the way that is really obvious - it’s more of a subtle art. For example, when I’m told time after time that kids are so expensive, I subconsciously make it my mission to prove that wrong - because really, how in the world can people be spending so much money on having babies?! Well, fast forward seven years and I understand a little better. We didn’t have hospital births, but still spent the equivalent of purchasing a really nice used car on paying the incredible midwives who attended us during our home births. Then, those little baby bottoms needed to be diapered. We only lasted seven months doing the cloth diaper thing because when you have a seven month old baby and you’re 3 months pregnant again, you do NOT want to be doing any more laundry than is strictly necessary. So, we started buying diapers and wipes every month. But here’s the thing. Even though I’ve learned that YES, kids can be a huge financial responsibility and having them definitely costs more than not having them, I really think that we just think that they have to cost way more than they actually do! Here’s what I know. Babies don’t care where they’re born, or what they wear or how many cool toys and books and stuffed animals they have because most likely they’ll be way more interested in playing with your car keys, the crumbs on the floor or the TV remote control anyway! As they start to get older, they will start to care more. They’ll have opinions about what kind of house they want to live in, and where that house is. They’ll know exactly what kind of clothes they want and give you miles long wish lists for their birthday and Christmas, filled with all of the goodies their friends have or that they’ve seen commercials for. They’ll want to eat out at restaurants every day and take fabulous trips to Disney World or the beach. And if they’re like my kids, they’ll want to take ballet lessons and gymnastics classes and soccer lessons and music lessons and art classes and good grief kids, ENOUGH with #alltheclasses! I mean, it makes sense because let’s be honest - grownups want adult versions of the same exact things, and our kids are tiny human beings after all! But, do they really need all of those things? Do they need every lovely desire their tiny, precious hearts can dream up? Of course they don’t. In fact, what they DO need typically costs substantially less money and substantially more time, energy and effort. And that is a scary thing. Spending money can be a lot easier than actually investing. This is kind of a no-brainer, but it has so many different facets. Our kids need to know that we will love them unconditionally, no matter what. No matter how many messes and spills they make. No matter how many times they sass and gripe at us. No matter how exhausted or frazzled we are. They need to know we love them, because they are learning how to love from us. We are the most important people in our children’s universe. We’ve been with them since the beginning and there is no bond like that between a parent and their child. One of the biggest ways we can communicate their worth to them is by being generous with our time and including them in as much of our lives as possible. Five, ten, twenty years down the road I guarantee they won’t remember all the cool things you bought for them, but they will remember you being with them. We’ve been given the incredible privilege (and HUGE responsibility) of being our kids’ first teachers. In my experience, it doesn’t matter how much we know or even if we have all the answers to their seemingly endless barrage of questions. What matters is that we are open and honest with our kids and use everything we can to teach them about life and the world around them. Especially when we are able to teach them using our own mistakes, disappointments and experiences as examples. Teaching them how to love and show compassion, the difference between right and wrong and how to differentiate between true needs and wants will take them so much further in life than training them to expect that they should be able to have anything they desire. So all of this is to say, although having children can be really darn expensive (sometimes there’s just no getting around that) if we’re going to be offering up advice to those who have yet to expand their family, I think it would be so much more beneficial to share about the beautiful privilege and opportunity you have as a parent to invest all of yourself into these tiny people who will do epic things in the world one day! To share and focus on what is truly important and what really maybe isn’t so much. It doesn’t have to be so complicated, because goodness knows the rest of life can be. Don’t forget - you are the best thing you can give your child. If they never have anything else besides that, it will be more than enough. Have you ever had people give you reasons why you shouldn't have kids? Share your thoughts on Kelsey's words below and don't forget to give this lovely lady a follow on her blog, Instagram, Facebook, Twitter and Pinterest!